Coca Cola is a leading global beverage company whose products sell across more than 200 countries. Its only main rival is Pepsi. The large product range of Coca Cola includes sparkling soft drinks; water, enhanced water and sports drinks; juice, dairy and plant-based beverages; tea and coffee; and energy drinks (Coca Cola Annual Report, 2017). Coca Cola’s large portfolio of brands includes more than 500 non-alcoholic beverage brands. The company owns and markets four of the top five nonalcoholic beverage brands of the world – Coca-Cola, Diet Coke, Fanta and Sprite. It has divided its business into six geographical operating segments that include • Europe, Middle East and Africa • Latin America • North America • Asia Pacific • Bottling Investments & Corporate. Coca Cola’s success is based upon several factors that include product quality, pricing, accessibility and marketing. In 2017, the company sold 29.2 Billion unit cases of its products. Net operating revenue of the company was 35.4 Billion dollars in 2017 versus 41.9 Billion dollars in 2016. Coca Cola is a major employer as well and is known for its focus upon human resource management. Its products have been selling in USA since 1886 and now sell across more than 200 nations. Competition in the soda industry has grown highly intense and success depends upon having several sources of competitive advantage. However, to be successful in an intensely competitive industry environment, the company has adopted an efficient business model. Its objective is to leverage its assets including the company’s brands, financial strength, distribution system, global reach and human capital to remain competitive and find grown in a manner that benefits its share owners. The company was incorporated in 1919 in Delaware. It is the successor of the original coca cola company that was organised in Georgia in 1892. Coca Cola’s global reach is a major strength for the business which sells its products around the globe in 200 nations. Its global reach has been made possible through an extensive distribution network. Its business is divided into concentrate operations and finished product operations. Concentrate operations include the manufacturing, marketing and sales of beverage concentrates or beverage bases, and syrups including fountain syrups. The other part of its business is call finished product operations in which it makes, markets and sells finished sparkling soft drinks and other non-alcoholic beverages. Coca Cola’s net operating revenues are generally higher from the finished product operations compared to the concentrate operations. However, its gross profit margins are lower from the former than the later. The company sells concentrates and syrups to the authorised bottling partners in its concentrate operations to generate revenues. The bottlers then combine the concentrates with sweeteners, still water and/or sparkling water or the syrup with sparkling water for making finished beverages. the containers used for packing finished beverages include cans, plastic bottles and refillable or non-refillable glass. These packages bear the Coca Cola trademark licensed to Coca Cola. The bottling patterns fill the finished beverages in these containers which are then sold to the retailers either directly to through wholesalers. Coca Cola also sells concentrates for fountain beverages to its bottling partners. These bottling partners are typically authorised for making fountain syrups which they sell to fountain retailers like convenience stores and restaurants. These retailers use fountain syrups to make and sell beverages for immediate consumption. Consumers buy such beverages in classes at retail stores, restaurants, cinema hals where they can consume it immediately after purchase. In US, Coca Cola sells the fountain syrups directly to the retailers or through the wholesalers who resell it in US. In its finished product operations, Coca Cola sells sparkling soft drinks and a variety of other nonalcoholic beverages, including water, enhanced water and sports drinks; juice, dairy and plant-based beverages; tea and coffee; and energy drinks. It sells them to the retailers directly or through the distributors wholesalers and bottling patterns who then distribute it to retailers. The finished product operations of Coca Cola includes mainly the Company-owned or -controlled bottling, sales and distribution operations included in the company’s Bottling Investments operating segment. Its finished products business also includes juice and other still beverage production operations in North America. Georgia – A coffee brand mainly sold in Japan. Simply – A juice brand that sells mainly in North America. I LOHAS- Water brand that sells mainly in Japan. Coca-Cola Zero Sugar – Includes Coca Cola Zero and Coca Cola no sugar. Del Valle – A juice and juice drink brand that sells mainly in Latin America. Coca cola makes markets and sells Dell Velle beverages through joint ventures with its bottling partners in Mexico and Brazil. Ayataka- Green tea brand; sells mainly in Japan. Schweppes – Coca Cola owns the Schweppes brand in certain countries other than US. Gold Peak – A tea brand that sells mainly in North America. FUZE TEA – Sells outside North America. Minute Maid Pulpy- A juice drink that sells primarily in the Asia Pacific. Glacéau Smartwater – vapor-distilled water with added electrolytes; sells mainly in North America and Great Britain. The distribution network of Coca Cola makes beverages available to consumers in more than 200 countries. It has the world’s largest beverage distribution system which includes Company-owned or -controlled bottling and distribution operations, independent bottling partners, distributors, wholesalers and retailers. Overall, consumers enjoy 1.9 Billion servings of Coca Cola each day around the world out of the total 60 billion servings of beverages. Coca Cola’s global distribution system plays a major role in acquiring market growth as well. It has a strong and stable bottling and distribution system that has helped it capture global market growth. Coca Cola has continued to expand its marketing peseta so as to grow its unit case volume and net operating revenues in the developed, developing as well as the emerging economies. Its strong bottling and distribution network has helped it find rapid and string growth throughout the world by playing a central role in manufacturing, distribution and sales of existing, enhanced and new innovative products to consumers throughout the world. In 2015, 16 and 17, Coca Cola sold around 29.2, 29.3 and 29.2 billion unit cases respectively. Sparkling soft drinks were the largest percentage of the total sales representing around 70% of the total unit case sales in 2017. Trademark Coca Cola products which means the products bearing Coca Cola trademark reprinted around 45% of the total unit case sales in 2017. USA is the largest market for Coca Cola representing around 19% of the total global sales volume in unit cases. Out of the total sales in US, sparkling soft drinks accounted for 62% of the total unit case sales volume whereas coca Cola trademark products represented around 43%. Other largest markets of Coca Cola that together accounted for around 31% of unit case sales volume were Mexico, China, Brazil and Japan. Independent bottling patterns play a major role in helping Coca Cola distribute its products globally and achieve its sales targets. – Coca Cola FEMSA – It has bottling and distribution operations in Mexico, Guatemala, Nicaragua, Costa Rica, panama, Colombia, Venezuela, Brazil, Argentina and Philippines (Coca Cola Annual report, 2017). – CCEP or Coca Cola European Partners plc. – It has bottling and distribution operations in Andorra, Belgium, France, Germany, Great Britain, Iceland, Luxembourg, Monaco, the Netherlands, Norway, Portugal, Spain and Sweden (Coca Cola Annual report, 2017). – Coca Cola Hellenic or Coca Cola HBC AG – It is one of the largest bottling partners of Coca Cola. Coca Cola Hellenic has bottling and distribution operations in a very large number of countries including Armenia, Austria, Belarus, Bosnia and Herzegovina, Bulgaria, Croatia, Cyprus, the Czech Republic, Estonia, the Former Yugoslav Republic of Macedonia, Greece, Hungary, Italy, Latvia, Lithuania, Moldova, Montenegro, Nigeria, Northern Ireland, Poland, Republic of Ireland, Romania, the Russian Federation, Serbia, Slovakia, Slovenia, Switzerland and Ukraine (Coca Cola Annual report, 2017). – Arca Continental – Arca Continental has bottling and distribution operations in Northern and Western Mexico, northern Argentina, Ecuador, Peru and the state of Texas and parts of the states of New Mexico, Oklahoma and Arkansas in the United States (Coca Cola Annual report, 2017). – Swire Beverages – Swire beverages is a bottler with bottling and distribution operations in Hong Kong, Taiwan, 11 provinces and the Shanghai Municipality in the eastern and southern areas of mainland China, and territories in 13 states in the western United States (Coca Cola Annual report, 2017). These are the five major bottling partners of Coca Cola that together represented for around 41% of the total Coca Cola unit cases sales volume in 2017. Bottlers are to legal partners or agents of Coca Cola but only independent contractors. These bottlers or bottling patterns are bound by bottler’s agreements related to the manufacturing and sales of Coca Cola products. These bottlers have to agree to the terms and conditions specified in the agreements. There can be small variations in the terms and conditions for each bottler. These agreements authorise the bottlers to prepare, package, distribute and sell specific Coca Cola trademark beverages in identified territories generally. While Coca Cola generally enjoy complete flexibility in setting the price and terms of sale for its products (including concentrates and syrups), its ability to set prices and terms of sale is also affected by the changing market conditions inside and outside USA. Bottlers’ agreements outside US can be extended or renewed and are generally of a fixed duration. These agreements can also be terminated by the company under certain circumstances. Inside US, the bottlers mostly operate under comprehensive Bottler Agreements which are of fixed durations and can be mostly renewed. Some bottlers operate under legacy agreements that do not have an expiration date. In US Coca Cola can terminate an agreement for nonperformance or under some other specified circumstances. While independent bottlers’ mostly make, sell and distribute most of the Coca Cola branded beverages, the company from time to time can often take control of or acquire bottling operations. This generally happens in case of the underperforming markets where Coca Cola uses its resources or expertise to improving performance. Often Coca Cola acquires a controlling interest in a bottler’s operations so as to focus its sales and marketing programs and for the development of bottler’s business and information systems. From time to time the company also sells its interest in a particular nothing operation to improve the efficiency of the Coca Cola system. The company also makes significant equity investments in bottling operations to improve the efficiency of the system. Such investment also allows Coca Cola to exercise significant influence over the invested bottler’s operations as well as financial policies. One main ingredient required for nearly all of Coca Cola beverages is water. Historically, Coca Cola has not experienced any significant challenge related to water supply. However, water scarcity has grown in several parts of the world. So, water availability, quality and sustainability are the key challenges facing Coca Cola. Apart from water, the other key ingredients required for Coca Cola beverages are nutritive and nonnutritive sweeteners. The principal nutritive sweetener that Coca Cola uses in the United States is called HFCS or high Fructose Corn syrup. HFCS is nutritionally equivalent to sugar. HFCS can be acquired from several domestic sources. Its prices have historically kept fluctuating. Outside the US, Coca Cola mainly uses sucrose or table sugar. Sucrose can also be made available from several sources. One of the major procurement partners of Coca Cola through which it procures HFCS in USA is CCBSS. CCBSS or Coca-Cola Bottlers’ Sales & Services Company LLC is a limited liability company owned and authorized by Coca Cola bottlers in US which helps with the procurement of various goods and services in the country apart from HFCS (High Fructose Corn Syrup). Apart from the nutritive sweeteners, the principal nonnutritive sweeteners Coca Cola uses include aspartame, acesulfame potassium, sucralose, saccharin, cyclamate and steviol glycosides (Annual Report 2017). Ajinomoto Co., Inc. and SinoSweet Co., Ltd are the primary suppliers of asparatame for Coca Cola. Aspartame is a major non-nutritive sweetener that Coca Cola uses alone or with other non-nutritive sweeteners like saccharin or acesulfame potassium in its low and no calories sparkling beverages. Sucralose is also a critical raw material for Coca Cola which it sources from a few suppliers in US and China. The number of sucralose suppliers is limited and therefore the company works closely with these suppliers to maintain continuous supply. In the recent years, the demand for sucralose all around the globe has grown. It has happened because the number of brands replacing high calorie sugar with low calorie has increased. Stringent environmental requirements have also reduced the production of sucrose in China. To overcome the decreasing supply, Coca Cola works closely with its existing sucralose suppliers. However, the company has not experienced any difficulty in sourcing sucralose in past and does not anticipate any either in future. The raw materials for juices and juice drink products of Coca Cola are the juices and juice concentrates from various fruits and mainly orange juice and orange juice concentrates. Coca Cola sources its orange juice and concentrate mainly from Florida and Brazil. The main supplier of orange juices for Coca Cola in US and Brazil is the Cutrale Citrus Juices U.S.A., Inc. Coca Cola works closely with Cutrale to ensure a continuous supply of orange juices. However, the costs of orange juices is growing due to several factors. Apart from greening disease, there are other factors like the hurricanes and freezing weather which are also affecting the supply of oranges and orange juice. The prices and costs of cultivation have kept increasing. Coca Cola purchases raw materials form several other channels as well. The company owned and consolidated bottling operations as well as the finished product business of Coca Cola also purchase a variety of raw materials for the company. These raw materials include polyethylene terephthalate (“PET”) resin, preforms and bottles; glass and aluminum bottles; aluminum and steel cans; plastic closures; aseptic fiber packaging; labels; cartons; cases; post-mix packaging; and carbon dioxide. The company generally buys these raw materials from several suppliers and has not had any difficulty or experienced any shortage in the past. Overall, there are a few raw materials that Coca Cola sources from a limited number of suppliers. In case of others it has a large number of suppliers. Accelerating growth of a consumer-centric brand portfolio – Coca Cola has a large product portfolio. However, the focus of the brand is to make its brands popular. It focuses on changing consumer tastes and preferences so as to bring new and innovative products that cater to the changing tastes of the consumers. Driving our revenue growth algorithm – Coca Cola is also working towards revenue growth and margin expansion. To grow its revenue, it is directing tis efforts towards sales growth. Strengthening the Coca-Cola system – The company’s focus is on strengthening the entire Coca Cola system. For this purpose, it focuses on technological innovation as well as equity investments. The company invest in its bottlers whenever needed to improve their performance. Digitizing the enterprise – Digital is changing the consumer experience like never before. IN every industry digital technology is changing how brands marketed themselves. Coca Cola is also focusing on digitizing the system by digitizing the supply chain and distribution network as well as using digital channels for marketing and business growth. By investing in digitization, the brand has grown its efficiency and is also focusing on innovation to bring new products and cater to changing consumer lifestyles and preferences. Unlocking the power of our people – Coca Cola is also focusing on utilizing the power of tis human capital to achieve the best results. It is focusing on better employee training and higher employee motivation to make them perform better and create higher growth. Coca Cola makes a heavy investment in marketing each year. The main reason behind investment in marketing is to improve people’s awareness of Coca Cola and to increase their preference for Coca Cola brands. By investing in marketing Coca Cola has been successful at growing unit case volume sales, per capita consumption as well as its share of worldwide nonalcoholic beverage sales. The brand creates and implements marketing programs in partnership with its distributors and bottling partners. These marketing programs both global and local are meant to increase the consumer’s awareness and appeal of Coca Cola brands. So as to develop a clear marketing strategy for the company brands, Coca Cola conducts product and packaging research, establishes brand positioning, develops consumer communication and derives consumer feedback using various channels. The integrated marketing activities of Coca Cola include digital and traditional advertising, point of sale merchandising as well as sales promotions. The focus of Coca Cola is on marketing strategies that help drive volume growth in emerging markets as well as grow the brand value of Coca cola in developing markets and grow the net revenues and profits of Coca Cola in its developed markets. In the emerging markets, the focus of Coca Cola is to invest in infrastructure programs that drive volume growth by providing increased access to consumers. In the developed markets where the consumer access is already high, the focus is on differentiation. Coca Cola has continued to invest in these markets in brands and infrastructure programs albeit at a rate slower than its gross profit growth. Coca Cola system has millions of retail customers around the globe that sell its products to the consumers directly. The focus of Coca Cola is to maximize value for its distributors and wholesalers so as to grow their beverage business. The approach that Coca Cola takes is to analyze and understand the business needs of each wholesaler/distributor/other customer irrespective of the size of the customer’s business. Whether it is a sophisticated retailer in a developed market or a simple kiosk owner in an emerging market, Coca Cola retains equal focus on all. The company ensures that each one of them has the right products and packages as well as the right promotional tools. Coca Cola’s focus is to build new and innovative customer experiences and improve beverage merchandising and displays. The brand also engages in joint brand building initiatives with its customers (including distributors, wholesalers and retailers) so as to increase the appeal of its brands. Through its commercial leadership strategies the brand also ensures to develop better execution of marketing strategies at the point of sale. The focus of Coca Cola is also on continuously improving its franchisee leadership. The needs and preferences of consumers are changing fast. Focusing on franchisee leadership gives the company and its bottling partners the ability to grow in tandem through shared values, aligned incentives. The financial success of the bottling partners of Coca Cola is essential to profitable growth of the company in the long run. It works in partnership with the bottlers to study processes that help it achieve scale and efficiencies. It also shares best practices that can help improve productivity throughout the Coca Cola system. Keeping the channels and consumers in mind, Coca Cola works with its bottling partners to make differentiated beverages and packages. Apart from that he company designs appropriate business models which help it share the value its beverage brands create with its bottling partners. It is working to continuously strengthen its supply chain network in order to gain a competitive advantage. The growing rate of obesity is a major concern for the public health professionals, governments and consumers as well. As a result, obesity has become a major challenge for the soda industry. 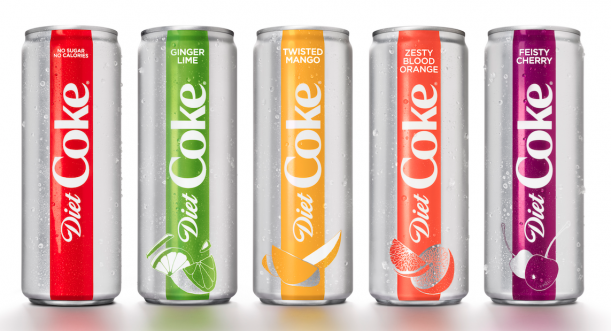 Coca Cola is focusing on managing its product portfolio in a way that aids obesity control. The company continues to offer low and zero calorie beverage options to its consumers around the world. The company is transparent in terms of providing nutritional value on the product packages. It features the calories on most of our product packages. Offers beverages in a large range of package sizes from small to large. The company focuses on responsible marketing. It does not direct its advertising on children below 12. Through many of these programs, the company is able to replenish the water that Coca Cola and its bottling partners use in their finished products. It is also working with other companies, governments and several other non-governmental organizations for advocating for water policy reforms. Consumer preferences are changing globally. A large part of the global population is ageing. Apart from that people’s lifestyles and needs have also changed. People have much more technology and information in their hands than ever before. Changes are happening very fast and people want more choices than ever. So, the company is trying to cater to their needs by innovating and bringing new and innovative products. It already has a substantially large product portfolio of around 500 brands and 4100 beverages. Still, fast changing consumer needs and preferences pose new risks and challenges everyday. Competition in the beverage industry has kept growing fast. Apart from Pepsi and Dr Pepper Snapple, there are other global and local brands as well which are also competing with Coca Cola. Moreover, these companies are investing in technology and product innovation. Coca Cola should also continuously focus on expanding its marketing and technological capabilities in order to retain customer loyalty and market share. The brand is also expanding into new profitable categories of beverages. Product safety and quality have also become major challenges in the beverage industry where reputation is an important question with regard to sales and market share. Apart from consumers there are certain other groups and bodies that are also concerned regarding specific ingredients used by Coca Cola as well as the overall product quality. Therefore, Coca Cola has designed rigorous product and ingredient safety and quality standards. It ensures safety and quality in each of its products. Coca Cola takes every care throughout the system that each of its products meets the highest safety and quality standards. It undertakes strong governance and compliance to ensure consistent safety and quality. The company also stays current with industry best practices as well as marketplace conditions. A quality management program with stringent quality standards measures all processes continuously. The quality management system set in place by Coca Cola also identifies and mitigates risks and works to drive improvement. A number of key agricultural commodities, such as sugarcane, corn, sugar beets, citrus, coffee and tea have seen their prices rising because of changing weather patterns and reduced productivity. This can affect the situation of food security for several communities all around the globe. The sustainable sourcing commitment of Coca Cola has two basic principles which are environmental protection and building more sustainable communities. Programs designed by Coca Cola focus on economic opportunity, environmental sustainability and addressing these agricultural challenges. The company is working in tandem with key suppliers, bottlers, important partners, communities and farmers and through higher investment in sustainable agriculture, it is trying to make a strategically positive impact on food security throughout the globe. Coca Cola is a major global player in the beverage industry. It is rivalled mainly by just a few global brands. While its main rival is Pepsi, there are a few other powerful rivals also like Dr Pepper Snapple. The beverage industry has grown highly competitive. In this scenario, every brand needs several sources of competitive advantage to win the game. Coca Cola has focused on creating extraordinary value by investing in key areas. Product quality and safety are some important areas where Coca Cola keeps trying continuously to make further improvements. Growth in the beverage industry has become a major challenge because of higher competition and government regulation. Coca Cola and its bottling partners work together to find new channels of growth and bring new and innovative products to the market. Coca Cola’s business model’s central strength is its extensive global presence. The company is working to grow its product portfolio which already contains more than 500 brands and more than 4100 beverages. It is selectively investing in new beverages. Apart from that its focus is on strengthening its business model by helping its bottling partners grow their business profitably. It also stays current with industry best practices and manages the entire Coca Cola system strategically through stringent rules and regulations related to product safety and quality. Its bottling partners which are mainly independent contractors have played a central role in ensuring the success of its global distribution network. They are like the central pillar of Coca Cola’s business model. The company’s large product portfolio is a major strength but there are several risks and challenges ahead. For sustainable growth, Coca Cola will need to focus on digitization and bring higher efficiency across both its supply chain and distribution network as well design and execute innovative marketing programs.